The eighth Valdai Paper examines one of the aspects of the state's soft power - higher education. The internationalization of universities - one of the phenomena of the recent decades - according to the authors is comparable to the growth of the military power of the early twentieth century. 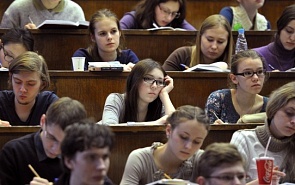 The article focuses on the European higher education, but also describes Russia's position in this field. The paper is written by Ettore DEODATO, Team Leader of a group of 16 people working the European Projects Office of the Policlinico and Medical School of Siena, Jean Monnet Professor, Adam Miczkiewicz University in Poznan, Poland and Iwona BORKOWSKA, Head of the Centre for International Education, Adam Miczkiewicz University in Poznan, Poland.